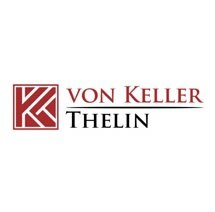 Our attorney at Joseph W. Thelin, PLLC, located in Manassas, Virginia, has a reputation for providing quality legal representation to clients regarding criminal law matters. Attorney Joseph Thelin has chosen to concentrate his practice in and around Fairfax, Prince William, Loudoun and Fauquier counties. He knows how to ease the emotional strain that accompanies litigation. He will handle the entire process from the time you first consult with him until the matter is finally resolved. At Joseph W. Thelin, PLLC, we are willing to take on the toughest criminal cases and strive to achieve the most favorable resolution for you. We have represented clients charged with nearly every crime in Virginia, from speeding tickets to capital murder and everything in between. We take pride in our work and make certain our clients are well-informed throughout the entire process so appropriate strategic and legal decisions can be made. Attorney Joseph Thelin will listen to your concerns. His initial consultations are structured to provide him with as much information about your case and to answer any and all of your questions about what his potential representation will entail. His ultimate goal is to provide the most professional and ethical legal representation for you. The greatest favor Attorney Joseph Thelin can provide for you is to realistically let you know what you can expect when your criminal law matter is going to court. We have the legal experience and expertise to spot and address relevant legal issues in and out of court. Whether you come to our law firm with a large or small legal matter we will provide the same level of dedication and advocacy in order to resolve your matter to your satisfaction.